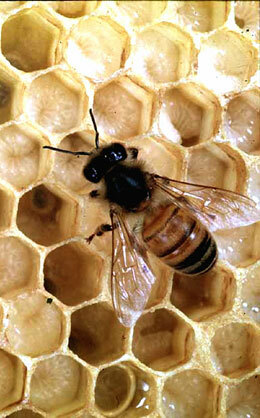 Bees are the ones that are responsible for more than a third of the human food chain. But they are all dying. Recently UN ordered an investigation to find the reason behind the mass deaths of the honey bees and their decrease in population throughout the world. This is really a worrying trend as it strikes our food in our plate. More recently, a study by Dr. Daniel Favre, a former biologist with the Swiss Federal Institute of Technology in Lausanne, Switzerland. Has found out that bees where having trouble with mobile phone transmissions. According to a story in The Daily Mail, the bees were able to tell when the handsets were making and receiving calls. They responded by making the high pitched squeaks that usually signal the start of swarming. “This study shows that the presence of an active mobile phone disturbs bees — and has a dramatic effect,” Favre told the Daily Mail. Favre believes this to be evidence of something other scientists have suggested: Signals from mobile phones are contributing to the decline of honeybees. Favre thinks more research could help confirm the link between cell signals and “colony collapse disorder” — the sudden disappearance of entire colonies over winter — which has halved the bee population, according to some estimates. Last June, researchers from Chandigarh’s Punjab University in India came to a similar conclusion, recording a decrease in the population of a hive fitted with a mobile phone and a decrease in the egg output of the queen in that hive. Other bee experts blame the vanishing honeybees on changes in farming, the decline of wild flowers and pesticides, and the final cause of the dramatic die-off remains unclear. Even the size of the problem is hard to determine. A recent three-year study analyzed the geographic distribution and genetic diversity of eight species of bumble bees in the U.S., relying on historical records and repeated surveys of about 400 sites, to ascertain precisely how many bees have vanished. The researchers compiled a database of more than 73,000 museum records and compared them with current sampling based on intensive national surveys of more than 16,000 specimens. The national analysis found that the relative abundances of four of the eight species analyzed have declined by as much as 96 percent and that their surveyed geographic ranges have shrunk by 23 to 87 percent. Some of these contractions have occurred in the last two decades. “We have 50 species of bumble bees in North America. We’ve studied eight of them and four of these are significantly in trouble,” said University of Illinois entomology professor Sydney Cameron, who led the study. “They could potentially recover; some of them might. But we only studied eight. This could be the tip of the iceberg,” she said. Previous: Facebook running anti google campaigns?